Atlanta Blogger: Fresh off the release of his 5 (Murder By Numbers) LP and in celebration of his birthday, 50 Cent called into DJ Whoo Kid’s Shade 45 show to discuss a number of topics, including the impact of Dr. Dre on his career. 50 also addressed his involvement on Eminem’s next album. “[I’ll be on] probably the first or second single off his album,” said the Queens emcee. 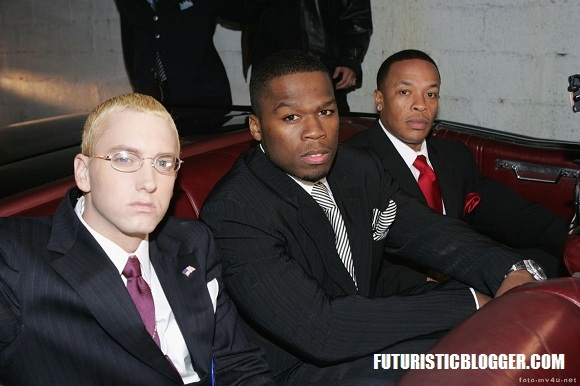 50 Cent Dr. Dre Street Immorta50 Cent To Feature On Eminem's Next Albumatlanta bloggerSays Dr. Dre Will Appear On "Street Immortal"